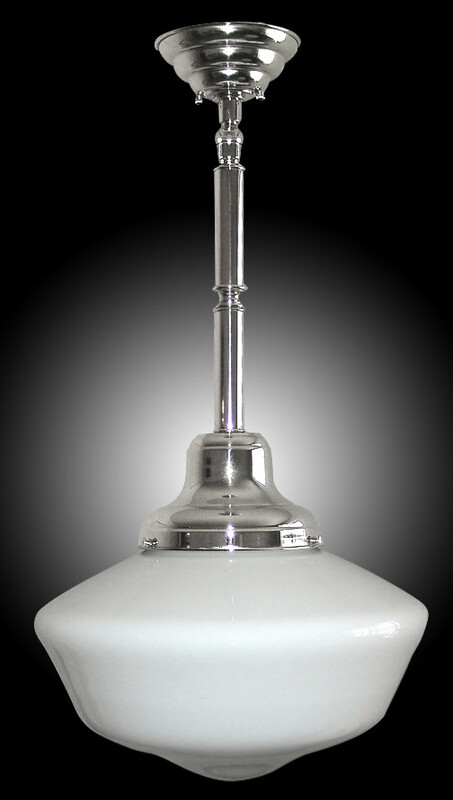 This lovely polished nickel Schoolhouse Pendant is just perfect for your island, small dinette or just about anywhere you place it. Custom drop measurements no problem. Also available in any metal color we offer. Shown in Satin Brass. Available in different Metal Finishes, different Glass, Back Plate and many other Custom Options.